You've made the right choice... your destiny awaits. Please complete the following form to enter your song into Guitar Idol. Ensure you use our social networking widgets to spread the word and promote your entry all over the world and gain valuable votes to progress through the competition. When creating your video, please keep to a file size maximum of 1GB. Also, we would highly recommend exporting to MP4 H.264 format (which is an industry standard). This will ensure that the most number of people will be able to view your video in the best possible quality. Have a resolution of 1280x720 (with a minimum width of 640 pixels). Be uploaded in image formats such as .JPG, .GIF, .BMP or .PNG. Remain under the 2 MB limit. All custom thumbnail images must follow our Community Guidelines. Thumbnails that are sexually suggestive, violent or graphic may cause your video to be age restricted. Age-restricted partner videos will not have advertising served against them and will not appear on browse pages. The ability to upload custom thumbnails may be revoked for creators who consistently use thumbnails that don't follow our guidelines. If your thumbnail privileges have been revoked, we will not be able to restore this privilege. 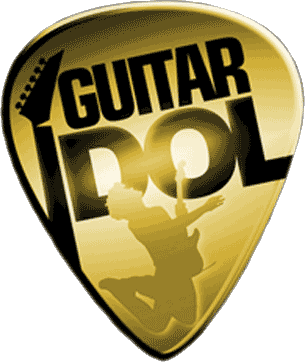 Guitar Idol is open to all nationalities and to guitarists of all ages and sizes!!! Please note that judges will look more favourably on original compositions rather than covers. Please ensure the video you enter is a genuine video of yourself playing the guitar, if you are miming you will soon get caught out if you are chosen to play live! Confirm you have read and understood the terms & conditions above.